Heat the pan and add olive oil. Add the onion and garlic clove and cook at low heat to prevent them from burning. Add the turkey and mix well for a few seconds. Add butter to a pot, let it melt, add the flour and mix well. Pour in the milk little by little and keep moving. Kneed the dough a little until it becomes unstuck. Mix with the turkey and parsley. Let cool for 20 minutes covered in plastic wrap to prevent it from drying. Create the croquets or balls, bass through the whipped egg and crumbled bread. Fry in a lot of oil until browned. Let rest on paper towels to absorb excess oil. You can use chicken, fish, beef or Serrano ham instead of turkey. You can use cornstarch instead of flour. 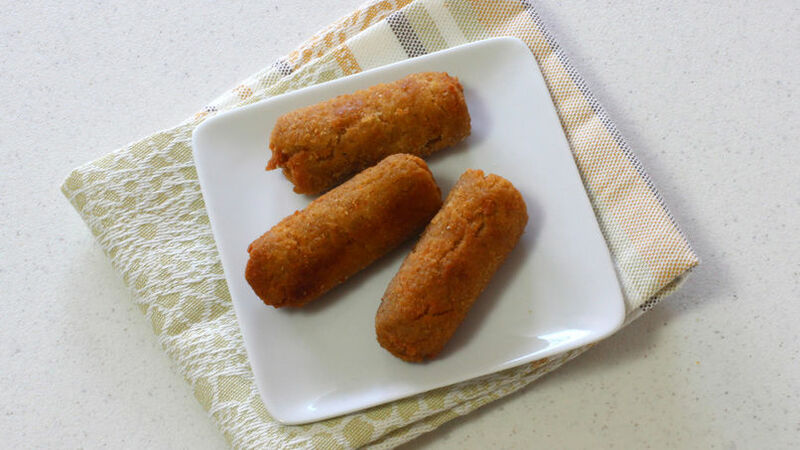 If you have leftover turkey, prepare some tasty turkey croquetas instead of the traditional turkey sandwich for your family. You can also prepare them with ham, chicken, fish or veggies. Preparing them is very easy and the béchamel sauce makes all the difference. If you don't want to serve them right away, you can save them in a plastic container and freeze them.